Take comfort in knowing you’re working with the best. At Montgomery Heating and Aire, we’re not just a dealership. We’re Trane Comfort Specialists. We've been working to deliver heating and cooling solutions to homes for more than 15 years. Our systems are customized to give your family maximum comfort with clean and conditioned air. To learn more about what we can do for you, check out our Trane HVAC Products and GEO Thermal & Ductless Heating & Cooling pages, or visit www.trane.com/Index.aspx. We provide customized heating and cooling systems to improve the air quality of your home. We work closely with innovative heating and cooling system companies to bring you top-of-the-line products that are both reliable and energy efficient. This keeps your system running optimally and your costs low. Do you have an uncomfortable room that is too hot or too cold? Are you building a house or renovating a room or two? What climate solution have you considered? Mitsubishi Electric has a Zoned Comfort Solution™ that will fit your need(s). 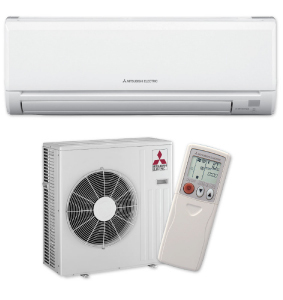 Selecting a Mitsubishi system lets you customize the comfort level in a single room or space and is more energy efficient. It's also easy to install. This Trane 3 ton heat pump package unit is so quiet I can't believe it. I can stand directly next to it and carry on a phone conversation. I am happy I spent the extra money on a Trane. Jason and Pam were easy to work with and communication was excellent. Installation was timely and went smoothly. They even went a bit outside their service area for this job, at no extra cost. Their price was right on target for the job, based upon what I read on the internet. It felt good doing business with them. 5 stars here to Mike and his crew. The real test of service is when there is an issue. We had an issue shortly after the install of a Trane mini split system. As with most "issues", it wasn't but a short service call to resolve. This company is always prompt and very intent on getting things right. I would definitely recommend Montgomery Heating & Aire. We've received quality service at a reasonable price since August 2010. We HIGHLY recommend Montgomery Heating & Aire! Service person, Justin, was on time and did a splendid job servicing our heating system and in a timely manner. We liked his friendly attitude. Highly recommend this man. The entire team keeps us up and running at Judicious Spirits which is very important to those of us in the cooler business - thanks to Dave and Jason. Pam does all she can to get our appointments taken care of in a timely manner. At our home, my husband had the pleasure of meeting Justin Neaves who provided friendly service in a professional manner at a young age. Kudos to the whole team! I have nothing but the highest praise for Montgomery Heating and Aire. Their technicians always arrive on time and are professional and courteous. Jason went above and beyond to get our new system installed. I highly recommend them. We have used Montgomery Heating & Aire for over 11 years. Very professional & prompt service! Thankful for them always taking care of our A/C needs.